Why did traditional Chinese literati so often identify themselves with women in their writing? What can this tell us about how they viewed themselves as men and how they understood masculinity? How did their attitudes in turn shape the martial heroes and other masculine models they constructed? 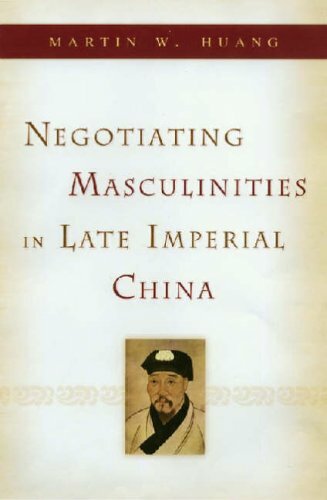 Martin Huang attempts to answer these questions in this valuable work on manhood in late imperial China. He focuses on the ambivalent and often paradoxical role played by women and the feminine in the intricate negotiating process of male gender identity in late imperial cultural discourses. Two common strategies for constructing and negotiating masculinity were adopted in many of the works examined here. The first, what Huang calls the strategy of analogy, constructs masculinity in close association with the feminine; the second, the strategy of differentiation, defines it in sharp contrast to the feminine. In both cases, women bear the burden as the defining "other." In this study, "feminine" is a rather broad concept denoting a wide range of gender phenomena associated with women, from the politically and socially destabilizing to the exemplary wives and daughters celebrated in Confucian chastity discourse.